"Say a Prayer, Send a Note" is an initiative of the Office of Global Missions that seeks to encourage churches and individuals across the Florida Conference to support our missionaries by praying for them and by sending notes of appreciation for their service. We are featuring today missionaries Alex and Brenda Awad, Gordon and Teca Greathouse, and E. and B. Barte. The Rev. 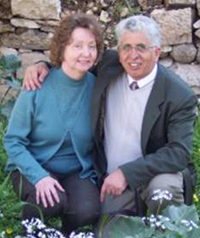 Alex and Brenda Awad are missionaries with the General Board of Global Ministries of The United Methodist Church serving in Israel/Palestine. Alex pastors a small international church in East Jerusalem and is affiliated with the Bethlehem Bible College as professor, dean of students, and board member. Brenda fills a wide range of functions at the church—Sunday School director and teacher, women’s group leader, and hospitality coordinator. At the Bible College, she spends approximately 30 hours per week assisting with English administrative needs and developing proposals for the college’s worldwide support base. Brenda substitutes as an English teacher as needed, and also works with other United Methodist mission personnel in the region to facilitate United Methodist group visits. Send a Note to Alex and Brenda. Gordon and Teca Greathouse are United Methodist missionaries with the General Board of Global Ministries serving in the Fourth Region of the Brazilian Methodist Church since 1978. After their first assignment directing the Conference Camp in Nova Almeida, Espirito Santo, the Greathouses were called to Belo Horizonte, Brazil's third largest city. In this second assignment, the Brazilian Church asked them to develop a community center with programs that promote self-esteem through self-help projects in which people from slum areas gain skills to become more economically independent. During the last few years, the community center has worked with Habitat for Humanity building low-cost, two-bedroom homes. Gordon and Teca will be visiting churches in the Florida Conference in June 2013. Let us know if you are interested in hosting them at your church. Send a Note to Gordon and Teca. E. and B. Barte are missionaries through the General Board of Global Ministries of The United Methodist Church assigned to the United Methodist Mission Initiative in Laos. They were commissioned in late 2001 and posted to Cambodia, where they served until 2009. The Bartes relocated to Laos in January 2010. 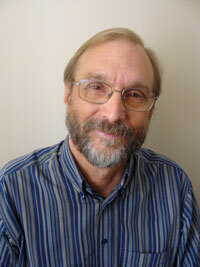 E. Barte, who is a layperson, works with the youth development ministries in Laos. His responsibilities include assisting with vocational training. 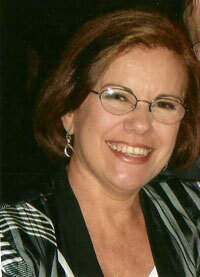 B. Barte, who was ordained to the clergy in 2008, is a specialist in Christian Education Ministries. She assists and facilitates the educational and resource materials, engages in leadership training of teachers, and helps to enhance holistic ministries for men, women, youth, and children. Send a Note to E. and B. Barte.